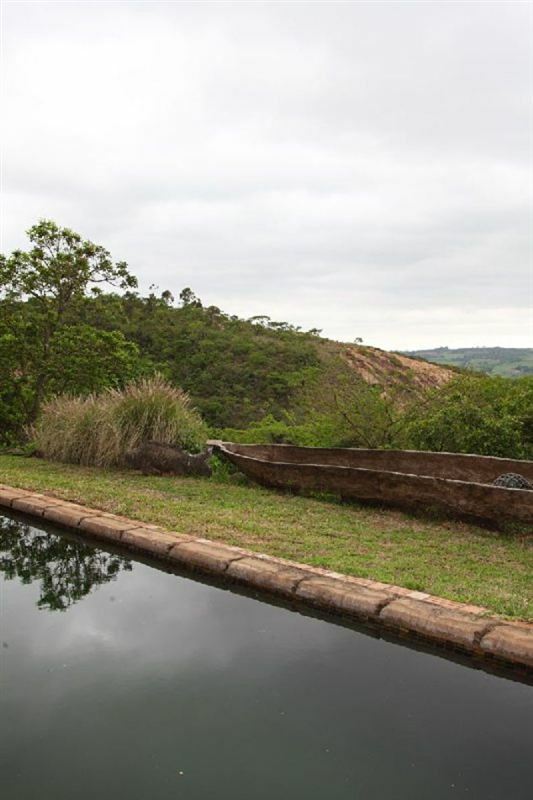 Pumelani Bed and Breakfast offers comfortable accommodation on a tranquil indigenous farm located just on the outskirts of White River. Set high in the hills and so aboriginal in form that it reflects primeval terrain. This bed and breakfast is the creation of native painter and ceramist, Rene Eloff. 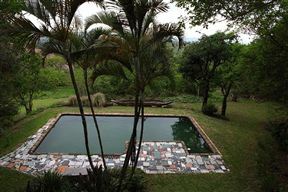 With strong artistic influences from her late husband, the renowned artist Zakkie Eloff, this guest house is alive in colour, vibrancy and true African spirit. 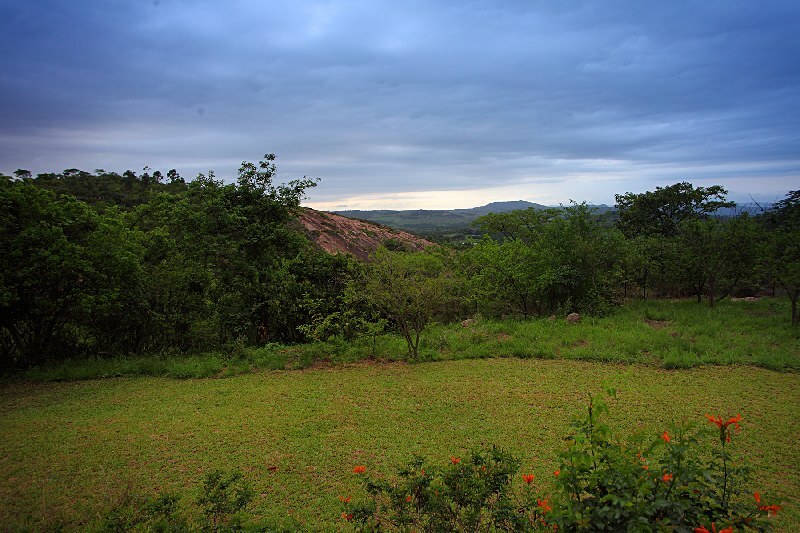 Pumelani Bed and Breakfast is the ideal weekend retreat if you are looking to get away from the hustle and bustle of city life. Alternatively, if you are en route between the Kruger National Park and Mozambique, this is an ideal stopover to catch your breath and take in some spectacular shopping and quaint restaurants scattered in and around the area. 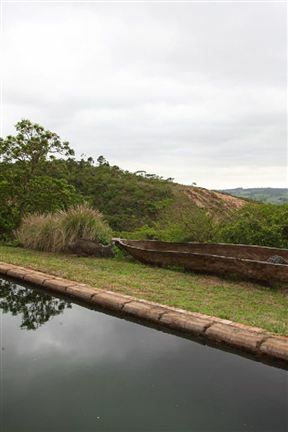 Our accommodation is set away from the main house and the unique cottages are quirky and creative, decorated with flair, and using artistic elements to create a warm ambience. Relaxed breakfasts are served in the main house on the deck overlooking the swimming pool. Style-wise, the Eloff homestead is a farmhouse that has been solidly and inexpensively built with rough plaster walls and a welcoming abundance of timber. Wooden French doors open out onto views that are pure bushveld and which reminds visitors of their proximity to the wild. Pumelani is close to the Kruger Mpumalanga International Airport, the Kruger National Park and many more tourist attractions. The Cottage in the garden comprises two bedrooms with en-suite bathrooms and each room contains three beds. The Cottage is fully self-contained and features a lovely enclosed deck, a kitchen and dining area. 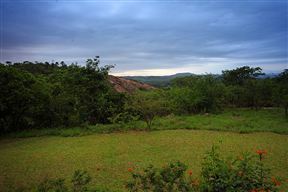 It overlooks the valley towards Swaziland. This spacious room contains a queen-size bed, twin three quarter-size beds, an en-suite bathroom and a fridge. This room is well suited to people with a small family.